Welcome to the World of Winemaking! If you missed the first three letters of the alphabet, you can catch up on the Alphabetical Winemaking A, B, C, and D – I’ll wait. For “E” in this challenge, we’re going to talk about Equipment – something I learned early on when I made my very first batch of wine all those years ago with less than the bare minimum. Live and learn! I apologize in advance for the length of this post – hopefully you’ll find the information helpful! Some ‘old school’ people said just mash up the grapes (or various fruit), throw in some sugar, water, and yeast and let it ferment in a jug with either a balloon covering the opening, or take plastic wrap doubled over, rubber-banded to cover the opening, then put a needle hole in the plastic so the gases can escape. My very first attempt at making homemade wine, I was given conflicting information from all sorts of well-meaning people. So my first batch turned into vinegar which I used to clean out the drain and pipes in my kitchen sink. Of course my kitchen smelled like a distillery for a day or two, and I went back to the drawing board. Or should I say the internet. And searched. And read. And searched and read some more. 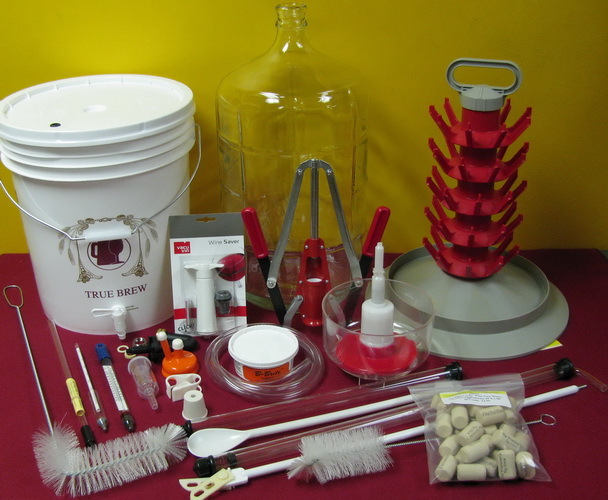 I finally decided to try to help ease my confusion by buying a Wine Making Kit on eBay for a reasonable price – one that included a lot of the basic supplies one might need to make a decent batch of wine. When it was all said and done, I still needed to get a few more items to make sure I had everything to make a successful batch of wine (and in some cases easier to use or more efficient), and not make another batch of vinegar. Starting at the top of the list, the 7.9 (or 8) Gallon Primary Fermentor with Drilled & Gasketed Lid is usually a food grade plastic bucket. You can also use cheaper buckets from your local hardware store like Home Depot or Lowe’s, but I have yet to find any buckets bigger than their 5 Gallon bucket – and trust me, you need one that’s 8 Gallons for your primary fermentation. 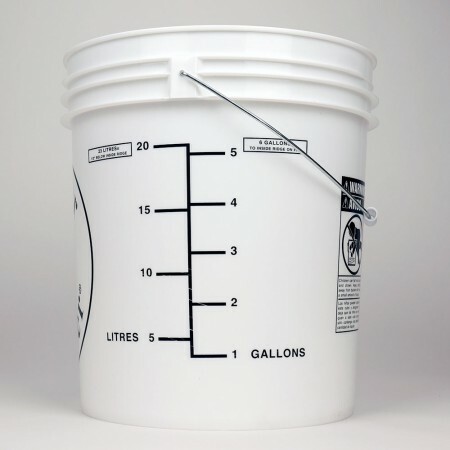 If the one you get (like I did) that doesn’t have the markings, it’s a simple matter of adding a gallon of water at a time and marking the outside of the bucket yourself. Why a bucket? You need a wide top to allow plenty of oxygen for the yeast in their growth stage. 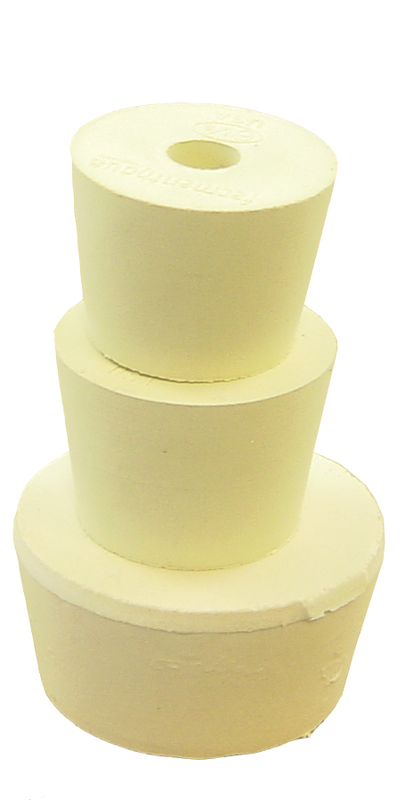 Remember – yeast is what converts the sugar into the alcohol content. But we’ll cover that in more detail with tomorrow’s “F” post. 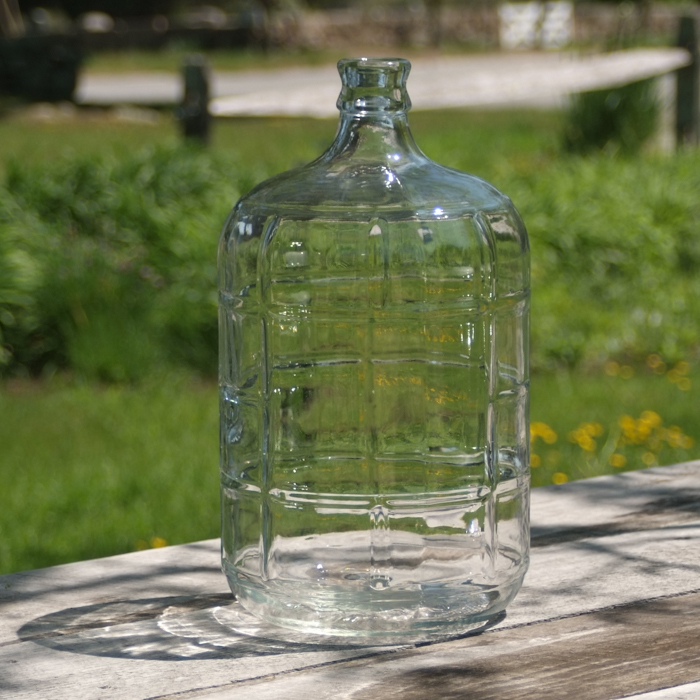 The next item is the carboy – remember I mentioned those in a previous post? If you ever plan to utilize a wine kit (which is always great for those just starting out, if they don’t want to fuss with the details that go into fermenting fresh fruit), then the 6-gallon size is mandatory. The kits are typically designed to go into a 6 gallon carboy, not a 5-gallon one. So be sure to get a 6-gallon one, but it’s also a great idea to have other sizes on hand for any ‘extra’. Over the years I’ve acquired them in varying sizes: 1/2 gallon, 1 gallon, 3 gallon, 5 gallon and 6 gallon – that way I always have something on hand in the odd sizes for the overflow. When you’re making wine from fresh fruit, you’ll always have overflow. At least I do – you know, because exact measuring is passé. And you don’t want any of that precious ambrosia to go to waste! A drilled stopper and airlock are used together with the carboy to allow carbon dioxide to escape from the carboy while keeping oxygen out (and using an airlock instead of a balloon or plastic wrap ensures that unwanted oxygen will be kept out of the carboy so your wine won’t ‘turn’ in the process). 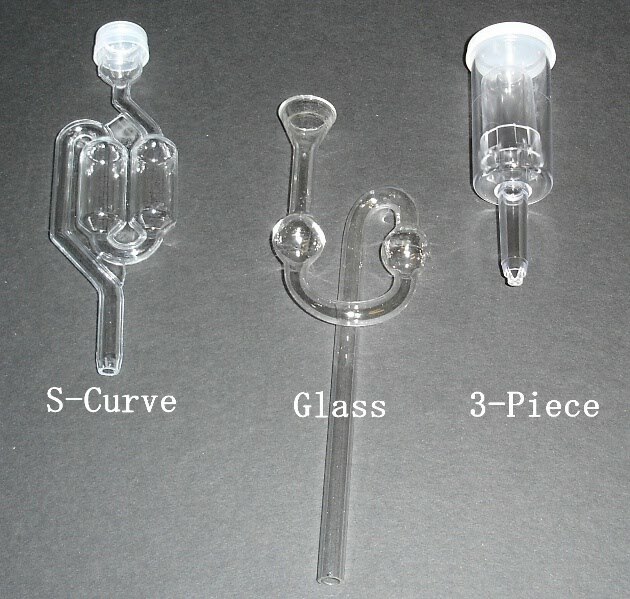 I use the ‘S-Curve’ because it was readily available (read: cheapest option) – I’d love to get some of the glass ones, though, because they look scientific and cool. The 3-piece one I have also used, but I’m not a fan of it. The hydrometer is used to measure the amount of sugar in your wine. It is important to make sure your wine has the correct beginning specific gravity (S.G.). Depending on the type of wine, the starting S.G. will be anywhere from 1.05 to 1.10. Depending on what you’re making your wine out of, the starting and ending S.G. will vary. 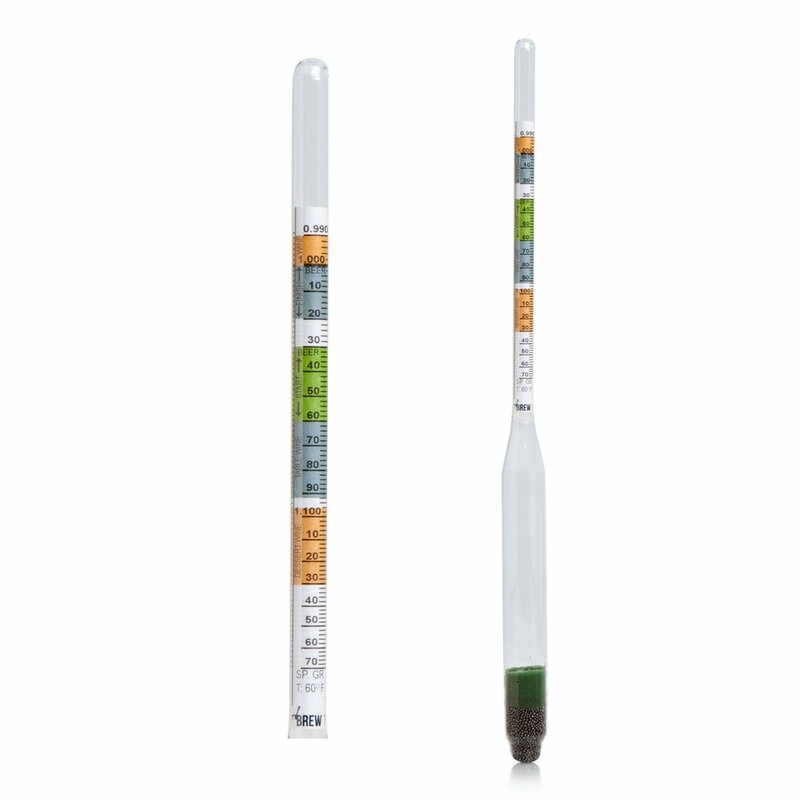 Also, as the fermentation progresses, you will use the hydrometer to tell you when to perform the next steps. It’s absolutely a handy tool to have, because the length of time wine ferments will vary depending on the absolute temperature of the room you’re doing the fermentation in. 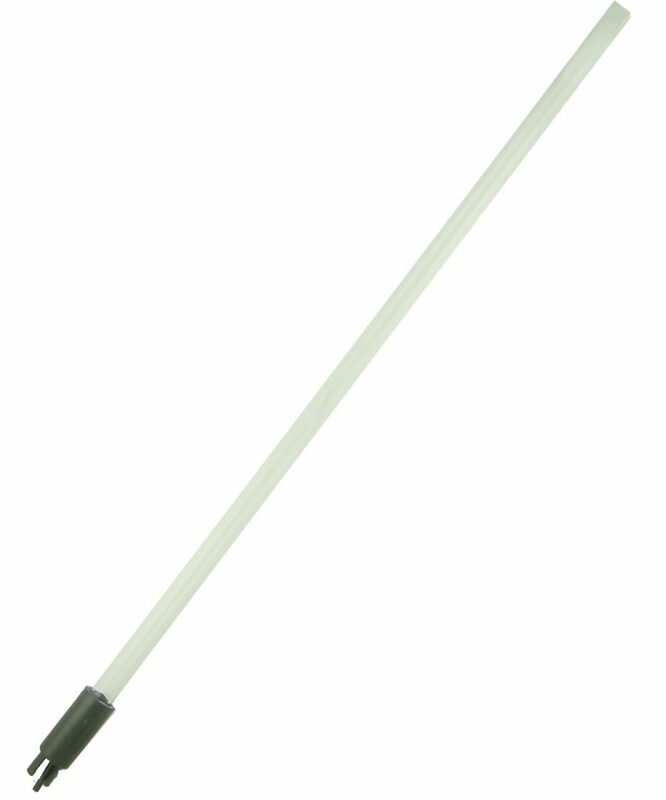 A racking cane, also called a siphon tube, is a rigid piece of plastic with a cap at the bottom. You need this to transfer (rack) your wine from vessel to vessel. 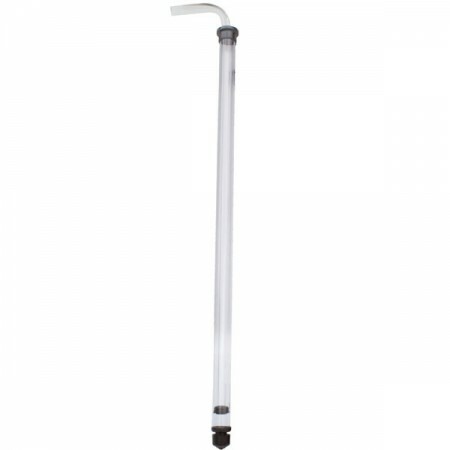 You attach the siphon tubing to the cane, place the cane in your wine and the tubing in the empty vessel. Then you start a siphon to rack the wine into the clean vessel. The cap at the bottom of the cane is to minimize the amount of sediment transferred as the primary reason for racking is to remove the sediment from your wine. 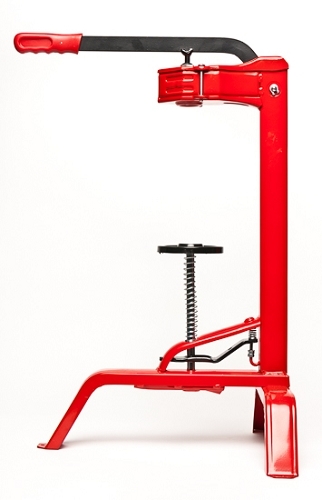 At some point you are going to want to bottle your wine, thus the need for the bottle filler. The bottle filler attaches the end of the tubing and has a trigger at the bottom to start and stop the flow of wine as you move from bottle to bottle. 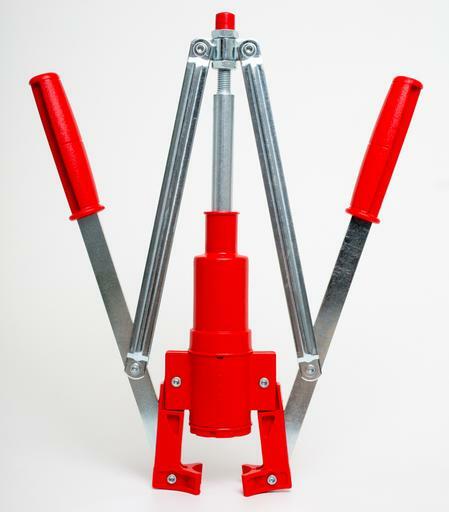 This has been my lifesaver to use – I didn’t start off with one, and ended up having to try to juggle things with one hand while ‘pinching’ the tubing to stop the flow of wine from one bottle to the next…not a pretty sight! The plastic spoon or paddle serves 2 purposes. 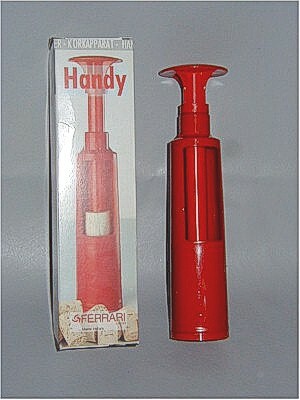 One, to mix your wine concentrate or fruit and water when you begin, and when you add the stabilizers and fining agents. The second purpose is remove the carbon dioxide (CO2) from your wine. This is referred to as “de-gassing your wine”. 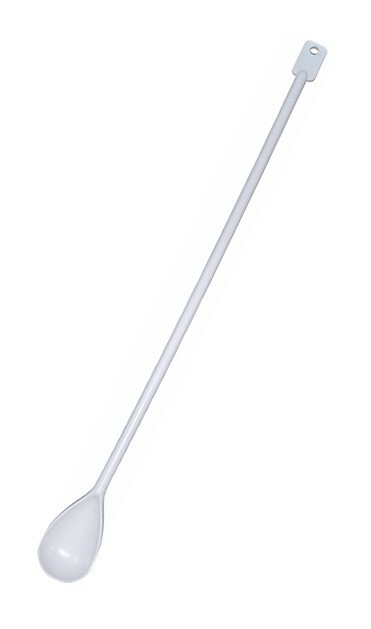 These spoons are specially designed to fit through the neck of the carboy, and you can get them up to 28-inches long so they’ll reach the bottom of the carboy. 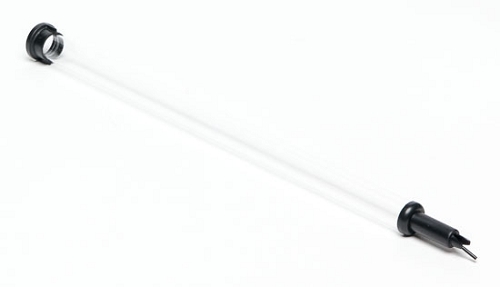 You’ll be glad you have this extra long ‘spoon’ when the time comes. Due to the small neck on the carboy, it is extremely difficult to take an S.G. reading by putting the hydrometer directly into the carboy. The easier way is to draw out a sample with the wine thief and put it into a test jar. Then you can put the hydrometer into the test jar to obtain the S.G. After you get your reading, you can pour the sample back into the carboy. 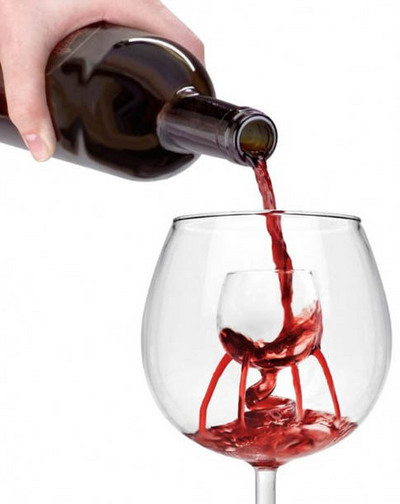 This multi-purpose “toy” replaces the wine thief and test jar, giving you one less item to maintain. 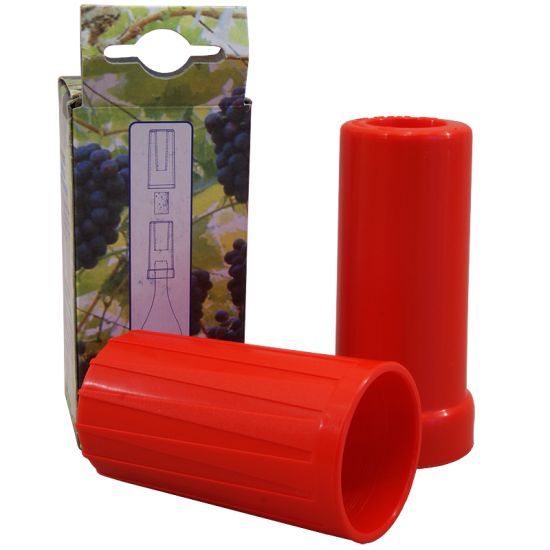 This product has a trigger-valve at the bottom to trap the wine and the diameter is large enough to accept the hydrometer. Just lower the Wine Thief/Test Jar Combo into your carboy and when it is about 3/4 full remove it. Then put your hydrometer into the Wine Thief/Test Jar Combo and take your reading. When you are through you can release the wine back into the carboy. You can also use this item to take samples for tasting. Obviously, you will need bottles for your finished wine. Most people use the standard wine bottle which is 750 ml and get a little over 30 bottles from a 6 gallon batch. You can recycle wine bottles, or you can buy them brand new. I do both. I like to look for unique ones that really stand out. My preference is the cobalt blue ones, but I’ll get the dark green ones for red wine, clear or light colored ones for white wine. 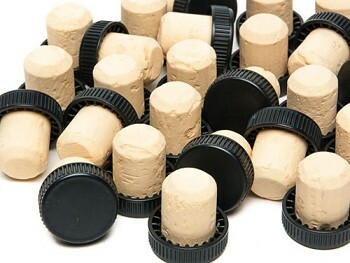 You can use T-Corks (aka ‘Tasting Corks’) for your bottled wine, but it’s not recommended unless it’s for a bottle you’re going to be using for tasting. I buy these for my homemade Kahlua that I make, or for the wine tasting bottles. 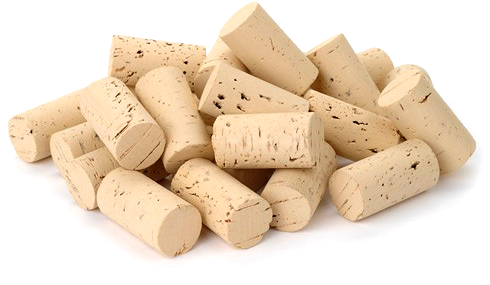 Trust me, trying to cork your 30+ bottles will be a comedy of errors and cause more wine spillage. Not to mention they’re killer on your hands. I’ve tried them both and they are a pain-in-the-you-know-what to use. That’s what I moved on to after I killed my hand trying to use the plastic hand corkers, and believe me, This hand corker is no better. When you get to your 30th bottle – let alone your 60th bottle – your arms, hands and knees are tired. Why your knees? The only way I was able to use this effectively was by sitting on the floor to brace the filled bottle between my knees and pull the levers down… I did have a bottle or two ‘escape’ in the process, and the air above my head turned blue. I tried to utilize this corker on the counter-top, but the bottles had a mind of their own, and tried to run way each and every time. Super easy to use, and cut my corking time way down. I now want to get another one so I can use them simultaneously and cut my corking time down even more. There’s so much more I could mention, but that’s probably enough overload for today. Let me know if you have any questions or need recommendations if you plan to make your own wine! Winemaking is so much fun – at least for me – and am tickled every time I give the wine as gifts to friends and family who love drinking it as much as I love making it. While we go through this alphabetical series on winemaking, if you have any burning questions, be sure to ask them in the comments below, and I’ll reply there – and maybe even highlight your specific question(s) in a future post! 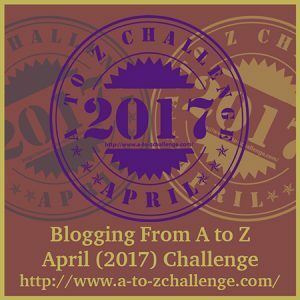 I know the fearless leaders over at the A to Z Challenge are trying to simplify things this year, but being it’s my very first year ever to participate, I’m a bit overwhelmed in the bazillion comments left over there with links to ‘find’ you – so I’m putting my own linky here, with a new one for each post (we’ll see how that goes). Please feel free to link your latest letter post so I can visit you much much sooner. I’m a bit behind on replying to comments and doing my own visits, but I should be caught up in the next few days, certainly by next week! So stay tuned and thanks for your patience! 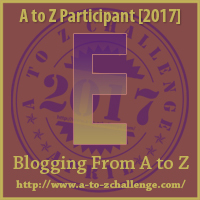 This entry was posted in A-Z Challenge, Wine Making, Winemaking and tagged A to Z Challenge, Equipment, Wine, Wine Making, Winemaking by StacyUncorked. Bookmark the permalink. All this looks so familiar. My hubby had me get him a 3 gallon carboy for Christmas because he is finding the 5 gallon ones to be too heavy to lift up onto a table for syphoning. I bought him an electronic hydrometer , but he made me return it, he likes his kind. Thanks Stacy for making me sit up straighter as I thank those who take the time to make great wine. As with any do it yourself endeavor, it always takes more time and equipment than the novice believes!